Inspired Pi’ed Pipers have set out to help spread the word of peace with the GeoBear project. Three stuffed bears are about to embark on a one year journey to touch as many lives as possible, in the name of peace and joy. Check out the message that will accompany Phred, Peacebear and Lovebear as they head out on their journey around the world promoting and sharing our Peace Pi message of creating CONSTANT, RANDOM acts of peace and goodwill in the world. 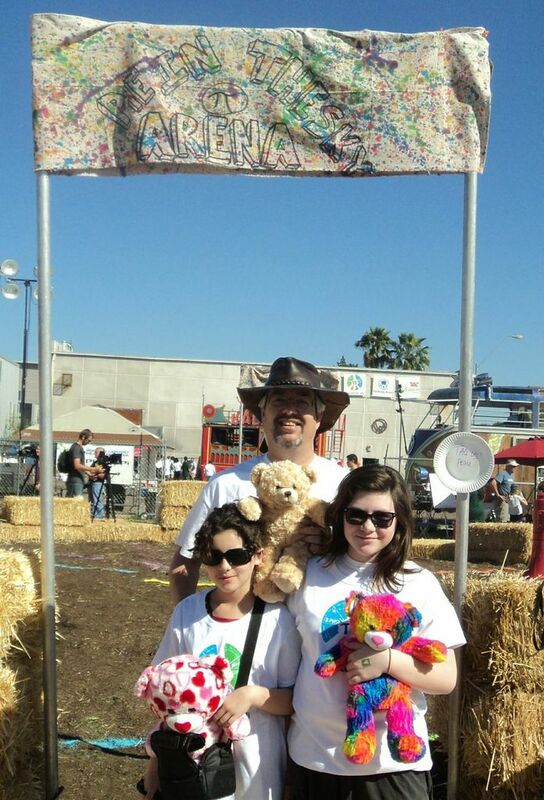 My journey started on Pi day (March 14, or 3.14) in Phoenix Arizona at the inaugural launch of the Peace Pi Festival and the Worlds Largest Pie Fight for Peace. Peace Pi celebrates the idea that “Humanity is a Beautiful Mess”. My one year mission is to travel  the world, exploring the beautiful mess of humanity in as many places as possible. I am searching out random acts of kindness and goodwill and with your help we will chronicle the genuine efforts of ordinary, beautiful people doing good work in the world while spreading the enduring message of peace. Join us by becoming a Pi’ed Piper for Peace. Write your name and your location in my “pawsport”. Take a selfie picture with me and email it to playpal928@gmail.com. Then, pass me on to someone else so I can continue my journey. How many people will I get to see in a year? Check out PeacePi.com and follow Peace Pi Festival on Facebook to learn more about the New Equation for Peace through our expanding network of conscious cause oriented people – just like you! Follow my adventures around the world. Find out how you can take part in the “Pie in the Sky” World Peace Pi festival on March 14th and 15th 2015. (3.1415). Thank you for taking care of me, but I would like to be home by March 10th 2015, to participate in a celebration of my journey, at the World Peace Pi Festival in Phoenix Arizona. Please help me complete my mission by sending me to Phred Returns, PO Box 2642, Prescott AZ 86032.